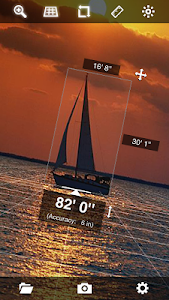 EasyMeasure shows you the distance to objects seen through the camera lens of your Android device. 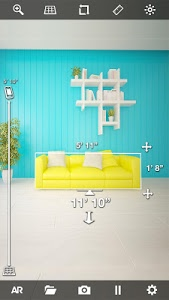 All without a tape ruler, just by installing EasyMeasure on your phone. 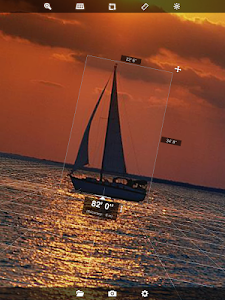 Simply aim your camera to an object in your surroundings, and EasyMeasure displays the distance towards that object on top of the camera image. 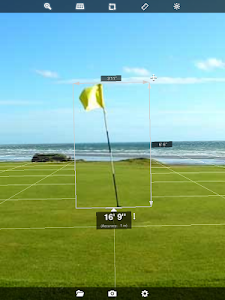 With its amazing 3D camera overlay grid, using EasyMeasure is very intuitive and easy! Find out how far it is towards that boat at the other side of the lake. Measure how tall buildings are. Use the app as a golf-aid. Measure your friend's height. The possibilities are endless! How does it work? 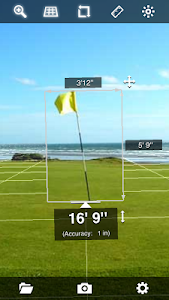 EasyMeasure uses the height of the camera lens and its tilt angle to calculate the distance to the object. Simple trigonometry based on geometric triangles, but much more accurate than other approaches, like sonar and acoustics based methods. A comprehensive animated tutorial on how to use EasyMeasure is included. 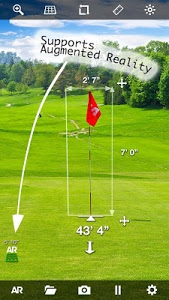 -Measures distance like a tape ruler. 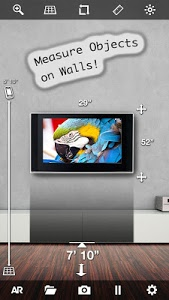 Can be updated to measure the height and width of objects! -Share your results by email, Facebook or Twitter! 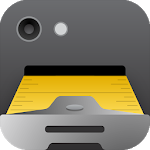 -Includes the possibility to calibrate your device for most accurate results! 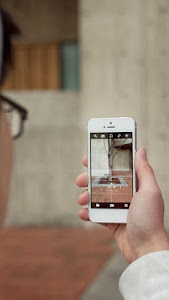 -Make a picture of the image with the distance and store it in the photo album for later use. -Supports Metric and Imperial units (meters, inches, foot, yards). 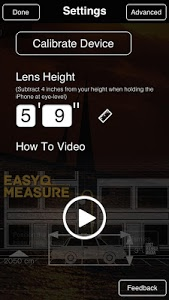 -Animated tutorial to explain the measurement procedure. 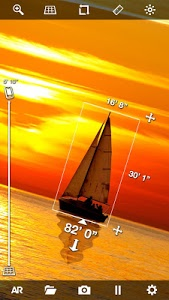 -"Dynamic Photos": Analyze and adapt measurements after photo is taken (Upgraded version)! NOTE: Measurements taken with EasyMeasure are not as accurate as measurements taken with standard tools like a tape ruler. Do not use EasyMeasure for construction or other uses where inaccurate measurements could cause personal injury or property damage. 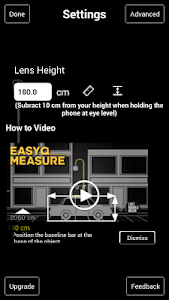 Similar to "EasyMeasure - Camera Distance Measurement App"